3 years ago in BSL dog bite deaths pit bulls dogsbite.org Michigan Coleen Lynn Rebecca Hardy Xavier Strickland ~ read. UPDATE: In this article, initially published on December 8th, we discuss what had been reported as two fatal dog attacks within a 60 mile radius within a one week period, and how those attacks could influence legislation currently pending in the state of Michigan. In the article we discuss how dog attack fatalities are extremely rare, and specifically how the circumstances surrounding the death of one of the victims, Rebecca Lillian-Kay Hardy, flew in the face of some 13 years of data on dog attack fatalities. The day after our post, the Port Huron Police Department released a statement stating that the Oakland County Medical Examiner's Office had ruled the death of Rebecca Lillian-Kay Hardy a suicide "based on information given to police by witnesses". It remains unclear what this means, and local reporting on the tragic case of Miss Hardy's death as late as today has yet to reveal any information shedding light on why police are calling this a suicide rather than an accidental animal attack or even a negligent homicide or manslaughter on the part of the dog's owner (police also confirmed the owner of the dog has not been charged). We will continue to update with additional information as it becomes available. It is extraordinarily rare for dogs to kill human beings. Several studies have been conducted on the issue, including Puppycide Database Project's first research publication, which relied on death certificates and emergency room records compiled by the CDC. Over the 13 years of data PuppycideDB researchers reviewed, the average number of Americans killed annually by dogs was 29. While every death is a tragedy, and dog owners should [take steps](http://nationalcanineresearchcouncil.com/dogbites/dog-bite-related-fatalities/#The co-occuring) to ensure their pets do not harm others, the rate at which dogs kill human beings is incredibly small. Human beings are at much greater risk of death from mosquito bites (due to malaria) than they are from dog bites - even counting the few remaining human deaths from rabies transmitted by dogs in countries where such transmission still occurs, mosquitoes bites kill 14.5 times more people than dogs do. Despite how safe our relationship with dogs is generally, the small number of violent attacks from dogs that result in death are dramatic and horrific. 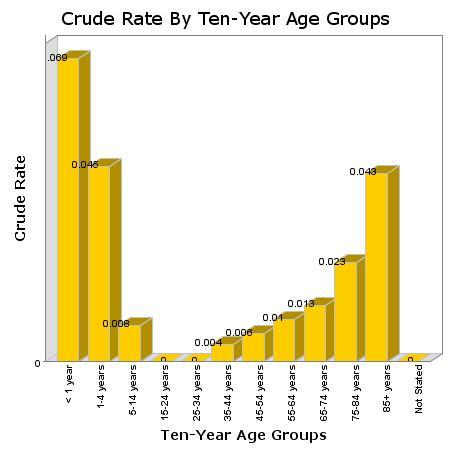 Puppycide Database Project's study of the issue found that nearly all canine attack deaths involved human victims that were either extremely young (aged four years and under) or elderly (aged 75 and over). Both of these groups represent the most vulnerable members of our society. When confronted with the violent death of an innocent child or a defenseless grandmother we want to do something. Earlier this week, the state of Michigan was shocked by news of two separate fatal dog attacks in two days, both occurring within 60 miles of each other. Puppycide Database Project included one of these deaths in our database, because we track all killings of dogs by police whether or not they are justified (police did not kill the dogs involved with one of the incidents, although they will likely be euthanized by animal control at a later date). The first victim was a four year old boy, walking to a school function in Detroit with his mother. Four dogs - described as pit bulls by police - mauled the child viciously and, according to his mother, without provocation of any kind. The boy's name was Xavier Strickland. Police responded to the scene, shooting three of the dogs and seizing the fourth, who was euthanized within days of seizure. The owner of the dogs has been charged with both second-degree murder and manslaughter, as well as one charge of "possessing dangerous dogs causing death" (this is the first time PuppycideDB has covered a case where an individual was charged with this crime). Note how during this period, there were no deaths recorded for anyone between the ages of 15 and 34. The second person killed by dogs last week in Michigan was a 22 year old mother named Rebecca Lillian-Kay Hardy. "He [Grattan] said he and Hardy had an argument at his home a few doors down shortly before the incident. Grattan said she left the house. He speculated that she traveled down the alleyway behind the 10th Street homes and attempted to cut across the neighbor's back yard to get to 10th Street." Police are continuing to investigate Rebecca's death; unlike the case of Xavier, the owner of the dogs has not at this point been charged with any crime. Both attacks occur while the Michigan State Legislature is debating a bill to ban local efforts to enforce so-called "Breed-Specific Legislation" (BSL). Breed Specific Legislation is an umbrella term for controversial efforts to ban, or tightly regulate, the ownership of certain breeds of dogs, most often pit bulls. The bill currently being debated would prevent Michigan municipalities from enforcing local bans, pre-empting bans currently enforced by some 14 cities. Although BSLs remain highly controversial, efforts to introduce pit bull and other breed bans at the local level have met with some success, largely driven by the notion that pit bulls and similar types of dogs are intrinsically violent or are bred and raised exclusively or predominately by drug dealers and individuals organizing illegal dog fights. The debate on the issue of BSL, which essentially boils down to the right of pit bulls and similar breeds to exist, is an emotional one - particularly online. On the "Pro-BSL" side of the debate are a number of dog bite victims, their families, police officers, animal control employees and administrators, as well as activist organizations like Colleen Lynn's DogsBite.org that alternately brand themselves as "national dog bite victims group[s]" and as a source of independent research on "the growing, but underreported, public safety issue of severe and fatal dog attacks inflicted by dangerous dog breeds". On the "Anti-BSL" side of the debate are primarily animal welfare and animal rights activists. In the wake of publicity inflating the unique dangers posed by pit bulls, groups across the country have formed specifically to advocate pit bull ownership. Those hoping to find objective information on the subject should be forgiven for assuming that the research on the topic is often as conflicted as the debate. One reason for this is because news organizations regularly cite skewed and unscientific findings from groups like DogsBite.org, who present inflammatory and occasionally hysterical accusations about the dangers of dog ownership the same way they would empirical, peer-reviewed research. "a comprehensive resource containing the foremost studies and statistics regarding dog bite injuries, pit bull injuries, dog bite fatalities, dangerous dog breed ownership and more." However it is hard to square that summary with the accusatory and conspiratorial tone of the website, which blames dog owners and animal advocacy groups for "distortions", creating "myths", "projecting blame after attacks" and spreading "pro-pit bull propaganda". DogsBite.Org repeatedly claims that those who own pit bulls are not "normal" dog owners, instead representing a dangerous criminal underclass. Despite this incredibly pointed tone, as well as the "research" itself, which accepts police and media provided breed identifications without question and makes no apparent considerations to address selection bias, DogsBite.Org has been cited by newspapers across the country for years as an objective source of research and statistics. The advocacy of DogsBite.org and similar groups is reinforced by the support of dog attack victims. The founder of DogsBite.org, Coleen Lynn, claimed to be inspired to create her website after being attacked by a pit bull while jogging. Xavier Strickland's mother has also told journalists that she now supports a complete ban of pit bulls. It remains unclear whether the stricken mother's calls for action will influence the Michigan legislature, but it well certainly put pressure on the Congress during the debate. Victims of violence and their families often play a role in the selling of laws, with lawmakers attaching the name of a victim to a bill in order to gain support. The practice is prevalent: from 1932's Lindbergh Law to Jessica's Law of 2005. As human beings we have empathy for those who have been hurt, like Xavier Strickland and Rebecca Hardy. What happened to both Xavier & Rebecca is an absolute tragedy. It is also true that being hurt, whether the victim of a crime or animal attack or a natural disaster, can offer a unique perspective to survivors and their families. Surviving can teach us a new appreciation for life, as well as create a unique relationship between survivors of similar circumstances. It is important for us to be able to find something good even in terrible things. It helps us move on, despite the odds. However, the creation of a law requires an understanding of circumstances and consequences beyond what we can learn from experiencing a tragedy, even a related tragedy. Being bitten by a dog cannot teach us the relationship between, for example, a dog's breed and that dog's propensity to attack a human being. No matter how horrible, a tragedy cannot provide us with an understanding of the statistics or probability. In fact, our desire to do something - anything - to prevent a tragedy can just as readily lead us astray as toward a solution. National laws impact hundreds of millions of people, while even local regulations impact thousands. It is impossible for us to predict how people will react to our law. We can be certain that some people will break a law, and when that happens the government will use violent coercion to enforce that law, by way of the police. When the citizens of New York City passed regulations to increase the taxes on cigarettes, they thought about reducing lung cancer and building new schools. They did not think about a black man being strangled to death in the street for trying to cheat that tax. But that's exactly what happened to Eric Garner. Does what happened to Eric Garner make the cigarette tax a bad law? We aren't sure, but that's not our point. The point is that making laws have complex and wide-ranging consequences that are often unpredictable. That's why the best laws rely on research and analysis. Emotion is an important part of politics - it drives us to do what we think is right - but emotion cannot be the only basis for our decisions. Let's hope that whatever decision the Michigan legislature reaches this session considers all of these perspectives as they reach their decision.